Would America’s consumers and companies benefit from fewer, stronger telcos? That is the question facing U.S. regulators as they mull over the merits of the proposed merger of T-Mobile USA and Sprint. 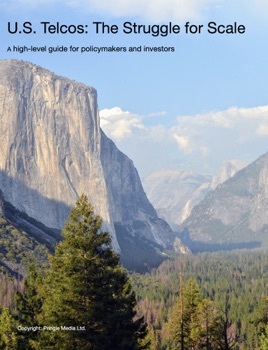 This 40-page report provides a high-level guide to the performance of the big four U.S. telcos - AT&T, Verizon, T-Mobile USA and Sprint - over the past nine years on a range of financial metrics. 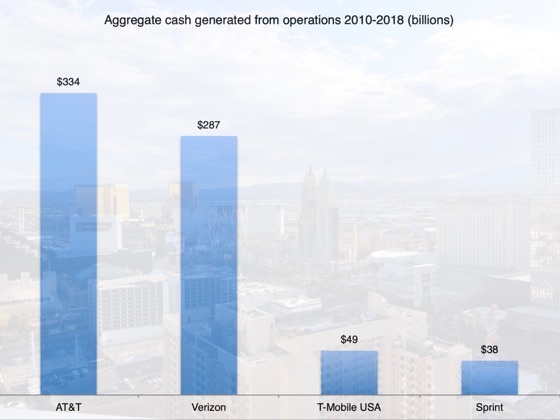 Although competition in the U.S. market has intensified in recent years, AT&T and Verizon remain far bigger than their rivals. 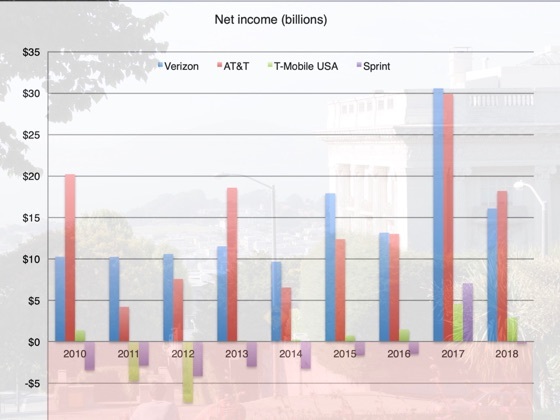 While T-Mobile USA and Sprint have struggled to provide connectivity profitably, AT&T and Verizon have sought to diversify into content through eye-catching acquisitions. But what about their core mission? As the U.S. looks to stay one step ahead of China in the development of artificial intelligence, it will need extensive IoT networks to collect real-world data. That, in turn, will depend on telcos building out 4.5G and 5G infrastructure that delivers the reliable and responsive connectivity consumers and companies need to remotely monitor and control their assets. But are America's telcos up to the task?